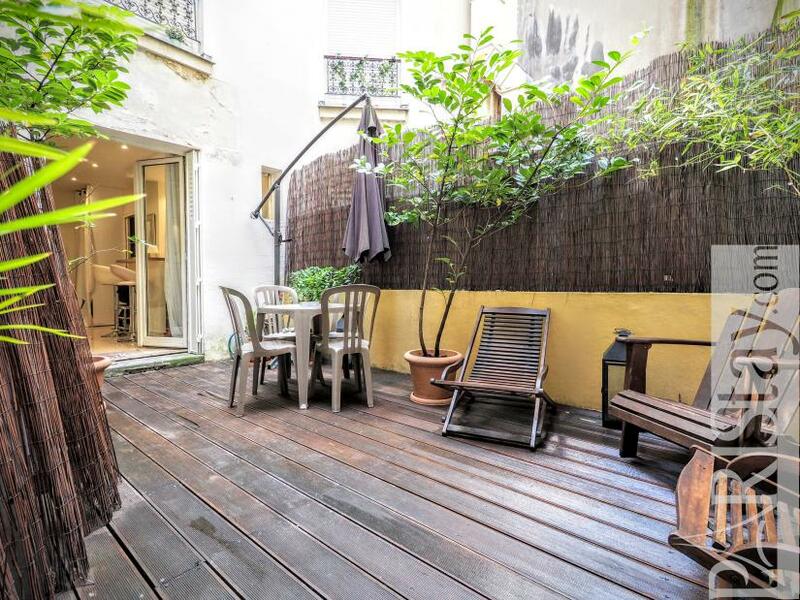 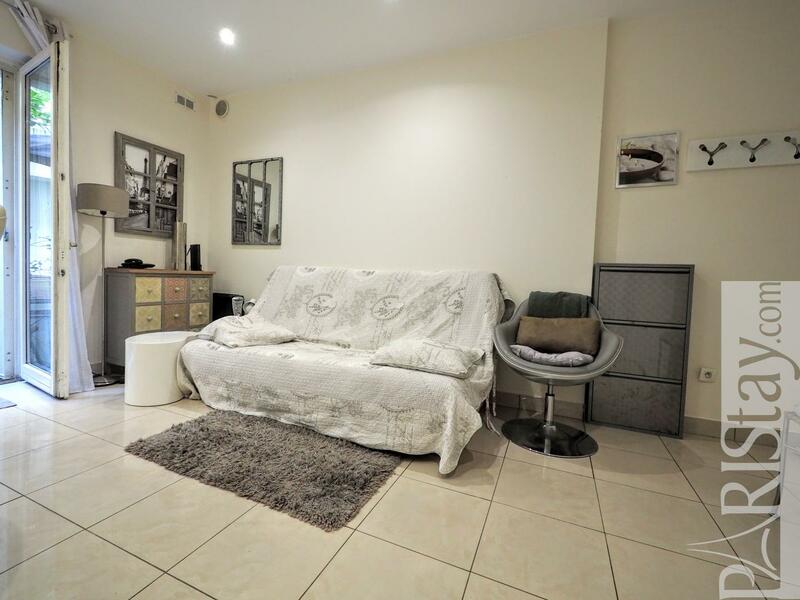 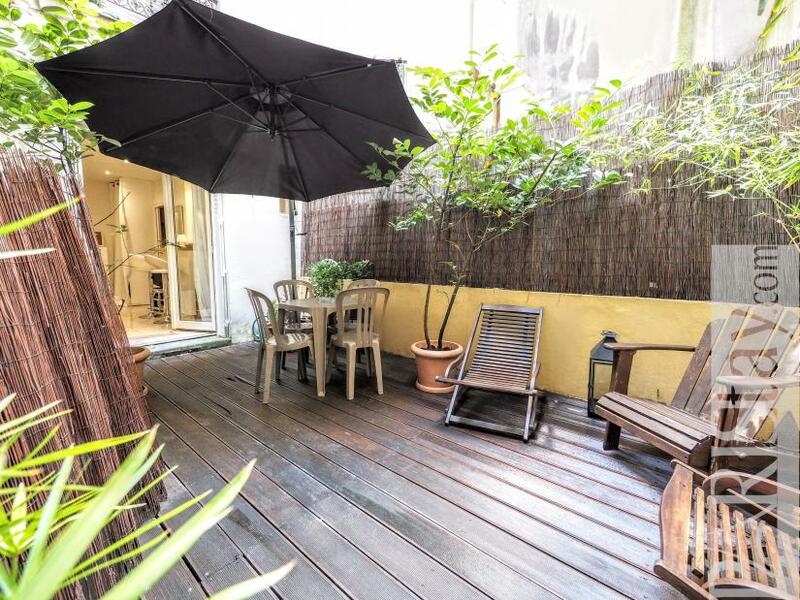 Charming Paris studio apartment rental with a great terrace located in the wonderful Montmartre district, 2 steps from Metro Lamarck. 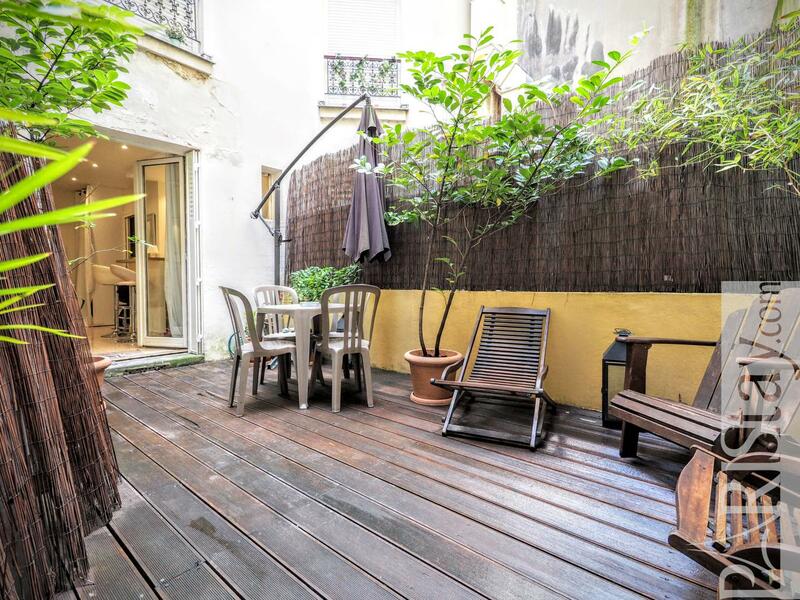 Let's enjoy the trendy Montmartre way of life! 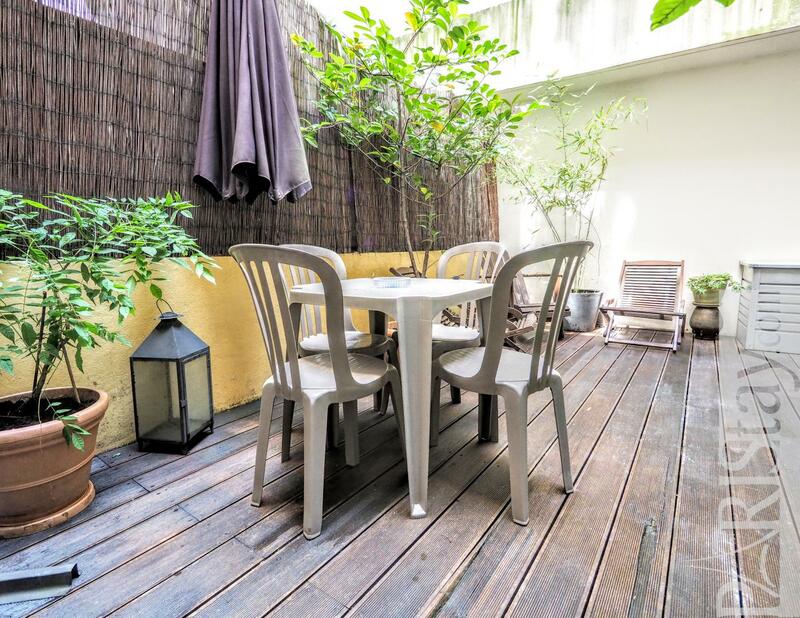 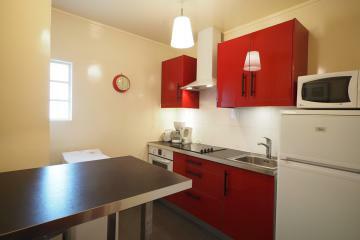 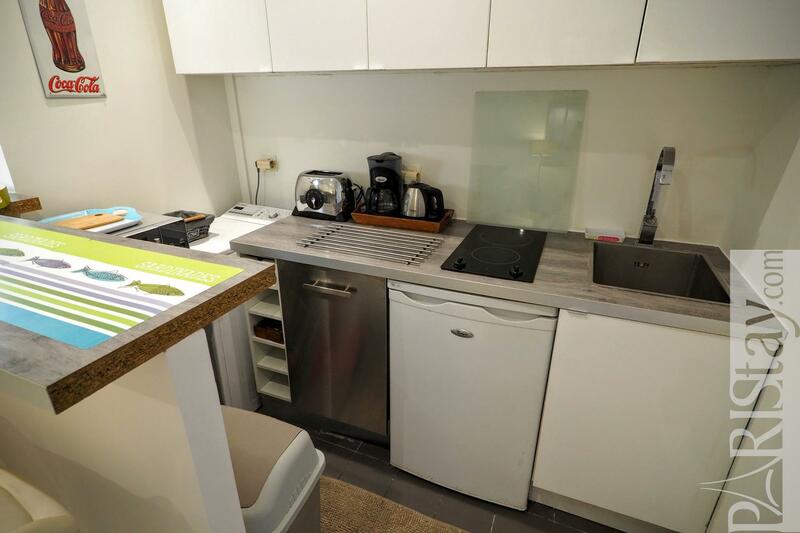 Thos apartement is situated on the groundfloor on coutyard of a typical building. 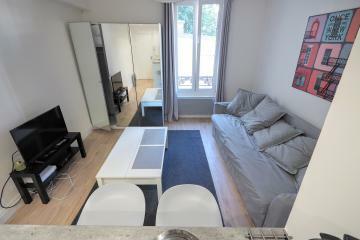 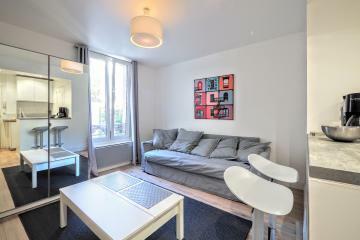 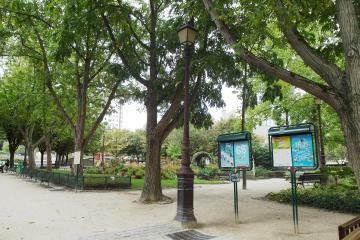 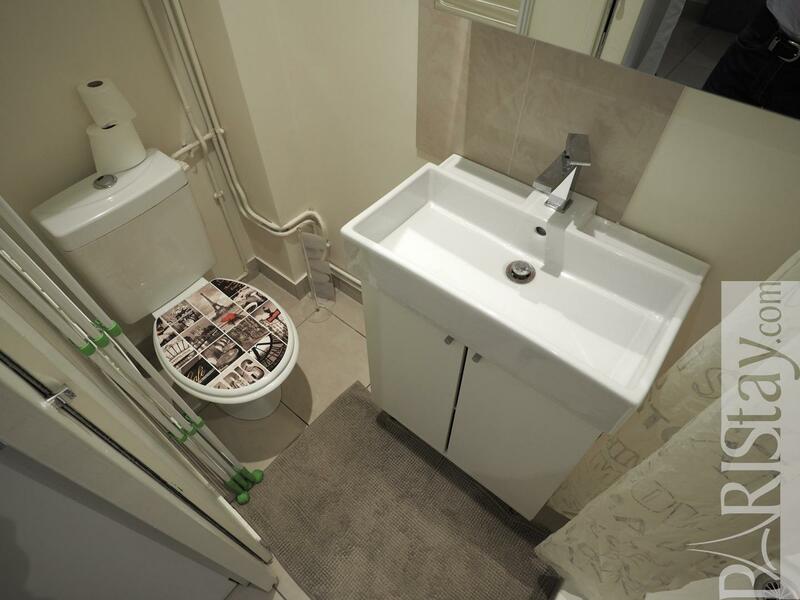 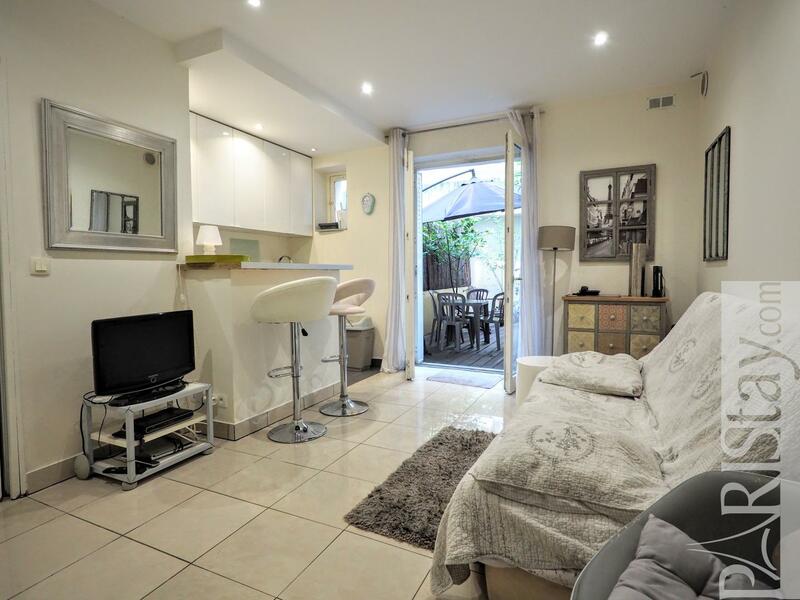 It has been renovated and offers everuthing needed for long stay rentals in Paris. The comfortable living room open to the terrace offers a comfotable sofa bed, an equipped kitchen corner with bar and many cupboards for all your storage. 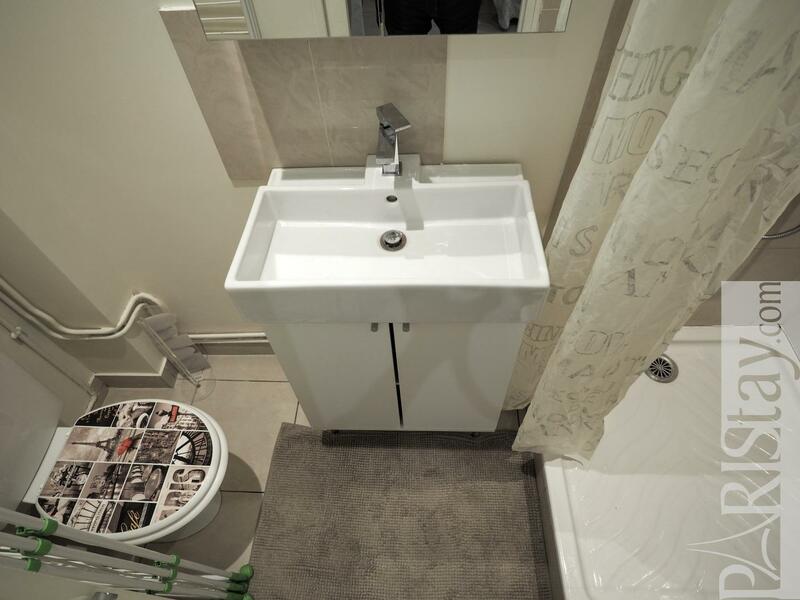 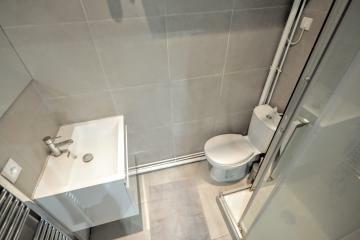 Bathroom with shoxer room and WC. 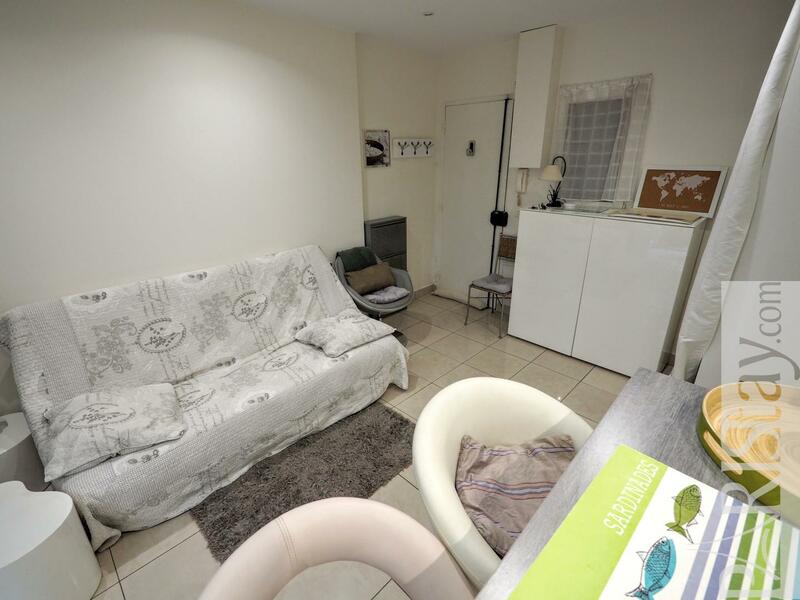 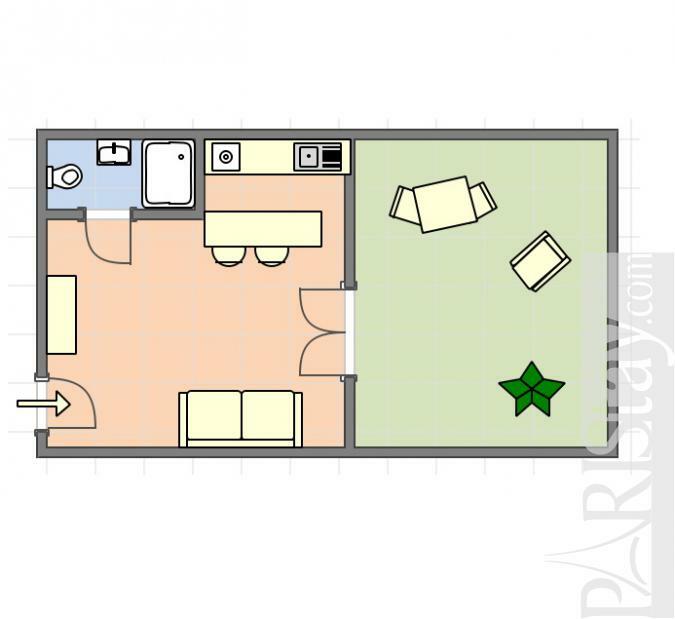 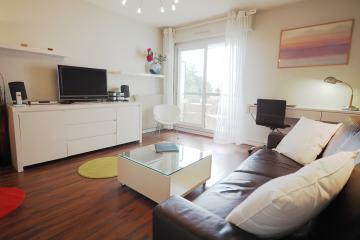 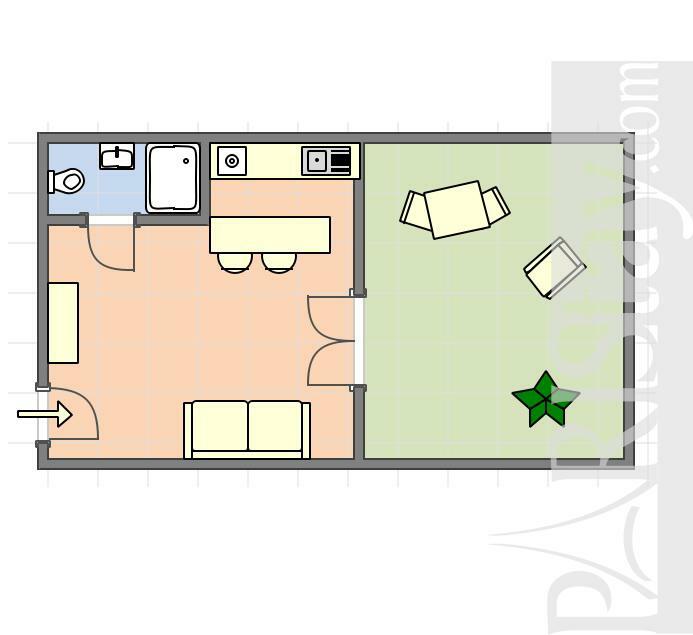 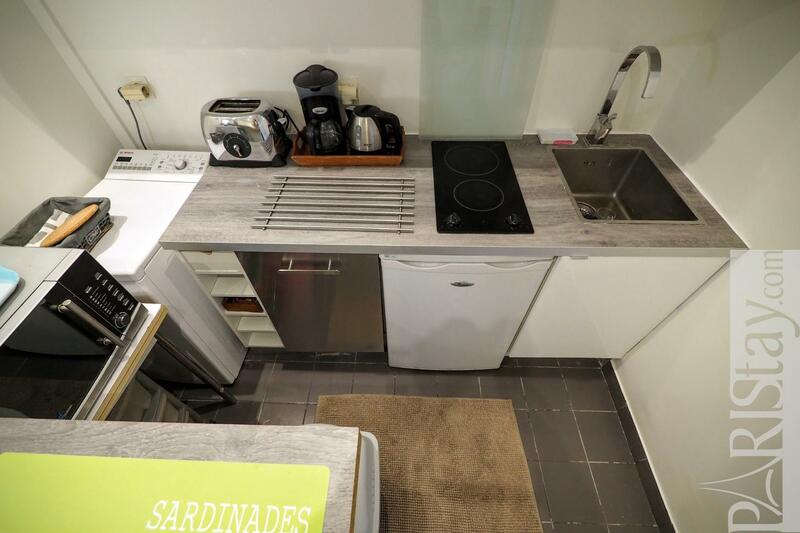 ground floor, without Lift, Studio Appartement, furnished, Approx: 24m² / 258 Sq.Ft.